KUALA LUMPUR (Feb 26): Bumi Armada Bhd slipped into a net loss of RM52.56 million in the fourth quarter ended December 31, 2014 (4QFY14) from a net profit of RM88.32 million a year earlier. The loss came on higher cost as the firm made trade receivable allowance and registered financial-asset impairment. (fundamental: 1.4; valuation: 0.6) said revenue increased to RM701.83 million from RM556.71 million. "The current quarter results also included charges related to impairment of available-for-sale financial assets, goodwill and allowance for trade receivables," Bumi Armada said. Its income statement showed that the company registered higher cost of sales, besides higher selling, distribution and administrative and finance expenses. 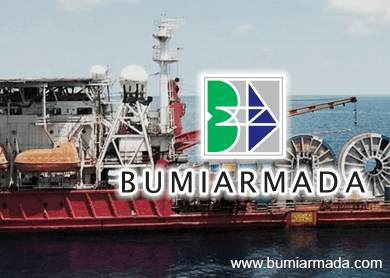 Bumi Armada's full-year net profit dipped to RM218.69 million from RM431.19 million a year earlier while revenue increased to RM2.4 billion from RM2.07 billion. Bumi Armada proposed a dividend of 1.63 sen a share in 4QFY14. Bumi Armada acting chief executive officer and executive director Chan Chee Beng said with the deterioration in crude oil prices and increasing challenges in the market, the company felt it was prudent and necessary to make allowance for some trade receivables. “Notwithstanding this, we intend to enforce our contractual position and pursue collection of outstanding receivables,” said Chan. At 11:53am, Bumi Armada shares fell one sen or 0.9% to RM1.15.